Who is the Choir Director? Who are the Choir members? What are our individual roles in the chorus? How many seats are in the choir? What does our common quest to obey provide for the choir? What is the love of God in the choir? What does the baton signify? How is His plan for our salvation represented in the choir? 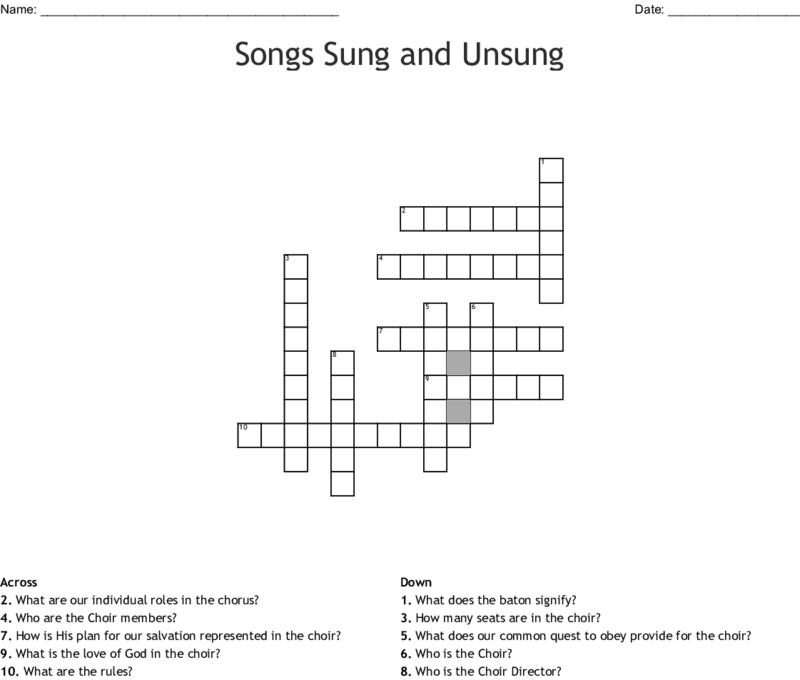 Lesson #4 Vocabulary: "World of the Arts"
CrossWord Awnser Key-Created By Rian H.